contact from you. We will not sell or rent this information to anyone. information via the website, your information is protected both online and offline. looking for “https” at the beginning of the address of the web page. personally identifiable information are kept in a secure environment. Whenever material changes are made to the privacy notice we will change it on this website and will send you an email about it. statements of any other site that collects personally identifiable information. contact us immediately via telephone at 925-265-7782. Our company does professional Appliance repair in Oakland, California as well as Marin County and East Bay! We perform refrigerator repair, washer repair, dryer repair, dishwasher repair, stove and range repair, oven repair, steam oven repair, microwave repair, freezer repair, ice maker repair, barbecue repair, pizza oven repair, patio heater repair and much more. There is not a single appliance in your kitchen that we can not fix. Customer satisfaction guaranteed! Our team of top appliance repair specialists is highly skilled in all models and brands of appliances. In fact, they are factory trained and certified on all the major brands such as Asko, Bertazonni, Bosch, Dacor, DCS, Electrolux, Fisher&Paykel, Frigidaire, GE, Jenn-Air, KitchenAid, La Cornue, LG, Liebherr, Marvel, Miele, Perlick, Samsung, Siemens, Sub-Zero, Thermador, Traulsen, True, Viking, Whirlpool, Wolf. We specialize in those brands. When it comes to high-end kitchen equipment and European kitchen equipment, we are simply the best. Our company Top Home Appliance Repair is family operated, and family managed for all those years. We are local to East Bay including Alameda County, Contra Costa County, and Santa Clara County as well as Redding and Marin County. We offer both residential appliance repair as well as commercial appliance repair to our customers. If you have a commercial kitchen, restaurant cafeteria or catering business, we can help you maintain your equipment in best shape. Besides being one of the top specialists in the field of appliance repair in Oakland, we are also proud to offer some of the best customer services to our clients. We strive to make every appliance repair in Oakland service appointment as convenient for you as possible. Our company Top Home Appliance Repair offers free and accurate over the phone estimate. We make same-day appointments if necessary. All of our technicians are polite, diligent and helpful to our customers. They work fast, and they always clean up after themselves. Tell us how we can make this appointment as convenient as possible for you. Top Home Appliance Repair offers 15% off Labor on your next completed in-home Household Appliance repair service (labor only.) *Not valid on prior services, preventive maintenance and estimate declines. First-time customers only. One discount per repair. Parts are not included in the discount. Show this coupon to receive discount. For appliance repair in Oakland give us a call 925-265-7782 or fill out this short contact form. We will get back to you right away. We will make a conveniently timed appointment for you and offer you our accurate estimate. Before you know it, our professional appliance repair technician will be on his way to you. He will carry in his truck not only the tools necessary but also all the parts that we estimate will be needed for the project. We always try to be prepared for any job, because this saves our customers time. Next, he will clean up after himself and plug back in all of your appliances. He will make sure to test your equipment no matter how long it takes. We want to ensure that it is working and is safe to use. Our helpful technician will offer you advice on how to keep your appliances in good shape for as long as possible. Sometimes a few little things can go a long way. Besides, repairs our company also offers installation and cleaning of household equipment. We also have annual or biannual maintenance plans. Those plans will let you have top specialist taking care of your kitchen or household equipment on a regular basis. At the end of our appointment, your appliances will be working great! We are number one appliance repair in Oakland specialists! Why pick us to do Appliance Repair in Oakland? We are confident that we can give you the best appliance repair in Oakland service possible. We have enough experience and understanding of all brands of kitchen and household appliances. No matter what appliance you have or what brand it is, we will be able to find the right parts for it and proper tools to fix it. Our technicians are factory trained and certified. They have the knowledge and skills needed to make your refrigerators, washers, microwaves, barbecues, etc. work. Also, they are polite and ready to please you, our customer. Customer service is a critical part of our company policy. You will be completely satisfied with our work! Also, our prices are very competitive, and we will work with you to make the pricing affordable for you. With us, you get the results that you deserve for a very reasonable price! We guarantee it! To make an appointment for home appliance repair in Oakland, please call us at 925-265-7782. Or you can fill out our short contact form. We will be happy to answer any of your questions and give you a free, over the phone estimate. Other services include refrigerator repair in Oakland, washer repair in Oakland, dryer repair in Oakland, dishwasher repair in Oakland, stove repair in Oakland, range repair in Oakland, oven repair in Oakland, steam oven repair in Oakland, microwaves repair in Oakland, etc. Besides Oakland we serve Alameda County, Alameda, Berkley, Dublin, Hayward, Livermore, Piedmont, Pleasanton, San Leandro, Contra Costa County, Antioch, Brentwood, Clayton, Contra Costa, Concord, Danville, Discovery Bay, East Bay, Lafayette, Oakley, Orinda, Pittsburg, San Ramon, Walnut Creek, Santa Clara County, Sunnyvale. If you are in need of residential appliance repair, our company can help. We are trusted major home appliance repair specialist in your area. 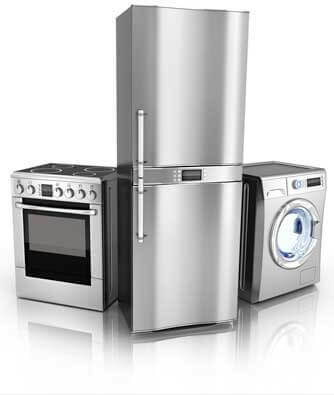 We do repair and maintenance on all brands and models of household appliances. That includes Asko, Bertazonni, Bosch, Dacor, DCS, Electrolux, Fisher&Paykel, Frigidaire, GE, Jenn-Air, KitchenAid, La Cornue, LG, Liebherr, Marvel, Miele, Perlick, Samsung, Siemens, Sub-Zero, Thermador, Traulsen, True, Viking, Whirlpool, Wolf and many other brands. Our home appliance repair technicians are all highly trained and knowledgeable in all aspect of residential appliance repair in Oakland and Novato. In fact, they are factory trained and certified by the manufacturers of many of those appliances. This special training gives them all the skills they need to fix your appliance well. We repair all kitchen appliances such as refrigerator, washers, dryers, dishwasher, stoves and ranges, ovens, steam ovens, microwaves, freezer, ice makers, barbecues, pizza ovens, patio heaters and much more. Why hire us to do your residential appliance repair in Oakland and Novato services? We are the most trusted and knowledgeable company out there. Our team factory trained and certified to carry out their work. And each year they apply for decertifications to learn all the innovations and new technology. We are sure that we will leave you satisfied. We charge by the job, not by the hour. So, our prices are always fair and reasonable. You get an accurate quote on every job, and we will stand by it. It is much cheaper to do residential appliance repair in Novato, Redding and Oakland with us instead of buying a new appliance. Excellent customer service is of the utmost importance to us. We make sure that our team is courteous, reliable and helpful to our clients. We can guarantee you a quick and easy repair appointment. We understand how inconvenient it could be to have an appliance in need of repairs. So, most of the time we can make same-day appointments for you. From stove to refrigerator or washing machine we can fix any of it. Just give us a call, and we will be there to help you out fast. And we promise you that after an appointment with us, your appliance will be as good as new. When it comes to local residential appliance repair in Oakland as well as residential appliance repair in Novato we are number one. We will be more than happy to help you with any of your residential appliance repair needs. For professional appliance repair in Oakland and East Bay, please call us at 925-265-7782. For professional appliance repair in Novato and the rest of Marin County, please call us 628-214-0064. Or you can fill out our short contact form. We would love to talk to you and answer all of your questions. Our service area includes Contra Costa County, Alameda County, and Santa Clara County. Our company provides top quality, professional home appliance repair services. 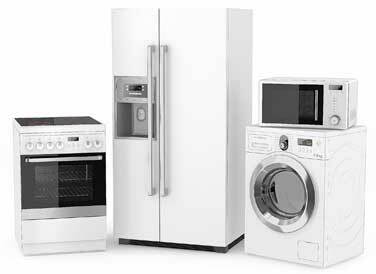 We repair all kitchen appliances and laundry appliances. That includes refrigerator repair, washer repair, dryer repair, dishwasher repair, stove and range repair, oven repair, steam oven repair, microwave repair, freezer repair, ice maker repair, barbecue repair, pizza oven repair, patio heater repair and much more. There is not a brand or a model of appliance that we can not fix. 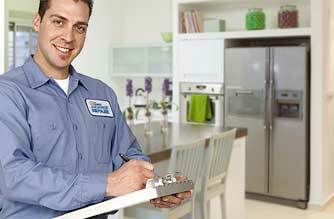 As long as we can find parts, highly skilled technicians can find a way to fix your appliance. We do both commercial appliance repair as well as residential. Our technicians are all factory trained and certified. They keep their skills up to date and know all the latest innovations when it comes to modern kitchen appliances. As a company, we specialize in brands such as Asko, Bertazonni, Bosch, Dacor, DCS, Electrolux, Fisher&Paykel, Frigidaire, GE, Jenn-Air, KitchenAid, La Cornue, LG, Liebherr, Marvel, Miele, Perlick, Samsung, Siemens, Sub-Zero, Thermador, Traulsen, True, Viking, Whirlpool, Wolf. 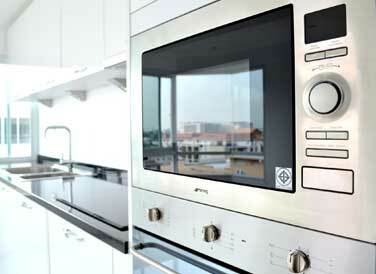 We often fix European brands, custom made kitchens and industrial appliances. Our company will gladly take on jobs that other companies don’t have the resources to do. Top Home Appliance Repair has been in the business of for many years. And we are always growing and learning new things. As new technology come out, our team always learns about it first and find new ways to help our clients with it. We are the most detail-oriented and highly trained appliance repair company out there. We serve Oakland, East Bay, Novato, Redding and Marin County. For example, we cover Alameda County, Alameda, Berkley, Dublin, Hayward, Livermore, Oakland, Piedmont, Pleasanton, San Leandro, Contra Costa County, Antioch, Brentwood, and Clayton. We are family owned and operated a business. You can trust us to come in and make your kitchen appliance work again. We are just a phone call away and with two offices in East Bay and Marin County area we are ready to help you right away. Besides outstanding appliance repair skills, we also offer you excellent customer service. Our employees are always polite, respectful and ready to help. They come to each job on time and carry all the parts, tools, and equipment with them. In fact, we try to pre-order parts before we come out to your house. This way you will need fewer appointments. Our team tries to be efficient and save you time and money. We also offer our customers accurate estimate before any job and FREE service call with all repairs. Our goal is to make appliance repair appointments and convenient for our clients as possible. And in the end give you a fully functional, clean and safe appliance. Those are just some of the services we offer to our clients. Our appliance repair in Oakland is here to help you with all of your needs. The same goes for appliance repair in Novato. We also offer extensive service maintenance appointment. Scheduling your appliance maintenance appointment annual or biannual basis ensures that all of your appliances in their best working order all year round. A well-maintained appliance will last you much longer, and this will save you money in a long run. Why choose us to do your appliance repair? Our company has many years of experience doing the best appliance repair in Oakland as well as Novato! We know how to please our customers and how to keep their appliances in top shape. Our technicians are factory trained and certified. With us, you can be sure that your major home appliance is in good hands. From the moment you call us to the moment we present you your fully functional appliance, we try to make every step of the process convenient for you. Our customer service is one of the best, and so are the prices on labor and parts that we offer. Check out our homepage for our discount and special deals! Customer satisfaction guaranteed! For professional appliance repair call us at 925-265-7782 in East Bay or 628-214-0064 in Marin County. Or you can fill out our short contact form. We will answer all of your questions and make a convenient service or repair appointment for you. Before you know it your appliance will be back in action! Our company serves Contra Costa, Concord, Danville, Discovery Bay, East Bay, Lafayette, Oakley, Orinda, Pittsburg, San Ramon, Walnut Creek, Santa Clara County, Sunnyvale and the rest of East Bay.